Crafted in luxurious platinum, this elegantly shaped band is set with sparkling diamonds for an indulgent feel she'll adore. 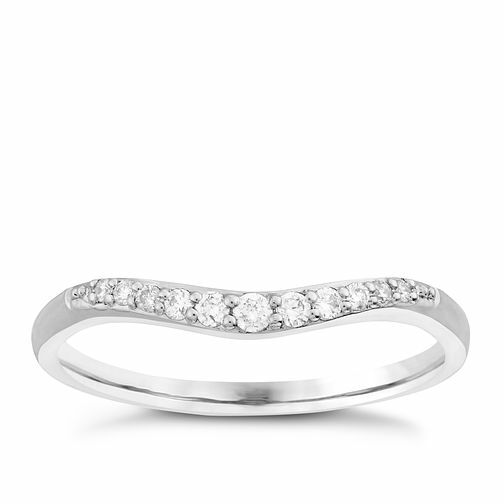 Platinum 0.10 Carat Diamond Set Shaped Band is rated 5.0 out of 5 by 1. Rated 5 out of 5 by Anonymous from Lovely Love this ring it was bought as a gift it is thin but great if you want to pair it with a halo ring. It does have some weight for a little ring.